At some point your furnace is going to need to be replaced. It can become unsafe for the people living in the home, ineffective in heating the home, expensive to repair (especially toward the end of its life cycle), and energy inefficient. We’d all like them to last forever, but they simply do not. If you’ve been diligent in having it maintained, it could last you up to 20 years. Because furnaces aren’t cheap, it’s in your best interest to get it installed professionally and right in the first place. 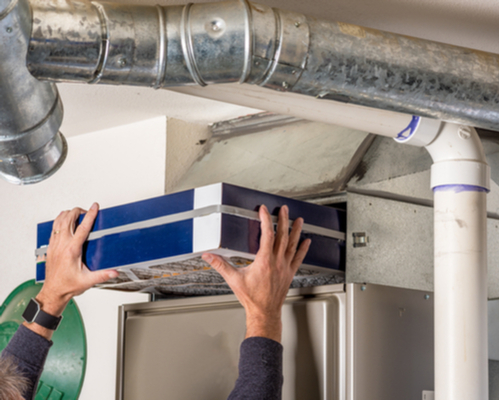 At ProServ Las Vegas, we are licensed and insured to replace and install furnaces. Before we do any work, we will put our work proposal in writing so you can see exactly what we will be doing for you and how much it will cost. Additionally, we do not require payment upfront, rather we take payment after the work is completed and you are 100% satisfied. Our Las Vegas born and raised team has a total of 25 combined years of HVAC experience. Rather than take our word for the quality of our services, take a look at what our customers have said about us and our rating on the Better Business Bureau. Technology has improved dramatically in the last 20 years, furnaces installed today are more energy efficient than they used to be. Depending on the efficiency of the new furnace you choose, you could save up to 47% of your current energy bill. Let’s get your furnace replaced or installed today. Call ProServ Las Vegas at (702) 656-4500 or fill out the contact form and we will respond as quickly as possible.